Issue of invitation to tender: 1991. Approval of project credit: 2001. Approval of construction credit: 20th March 2003. Start of construction: 4th August 2003. Inauguration: 31st July / 1st August 2004. 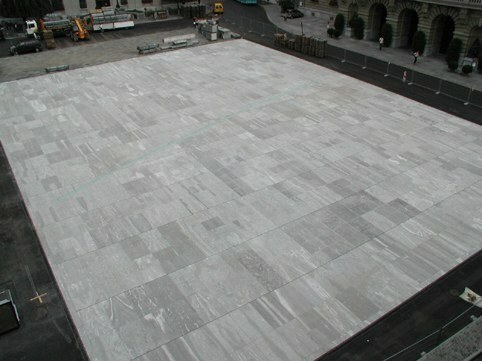 Natural-stone paving: “Gneis” stone from the quarry of Truffer AG in Vals / The Grisons. 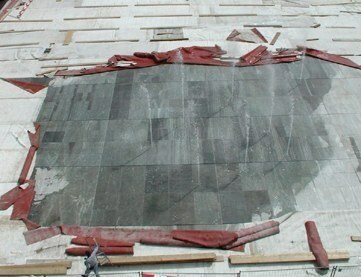 Surface area = 2,218 square metres / 3,600 flagstones (260 metric tons). New utility conduits (water, sewers, electricity, gas, telecommunications): 5,000 m.
Space occupied by fountain operating system: 750 cubic metres. Water output: up to 142 cubic metres per hour. Capacity of re-circulation system: 150 cubic metres per hour. Total cost of re-landscaping: 7.98 million Swiss francs. Die Mobiliar insurance company: 1.7 million francs. 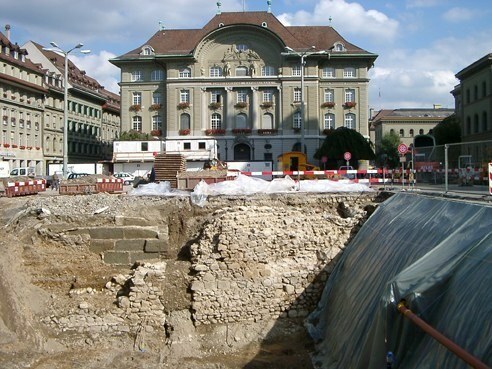 Costs met by the City of Bern: 3.98 million francs.